eachanoriginal DESIGN COMPANY was established in 2000 with the goal to provide a quality, fun, unique, playful and whimsical HAND MADE in CANADA magnet line. Fourteen years later, here we are today. Claire Turner – as master painter, Claire has had a hand in training all of our painters as well as herself. 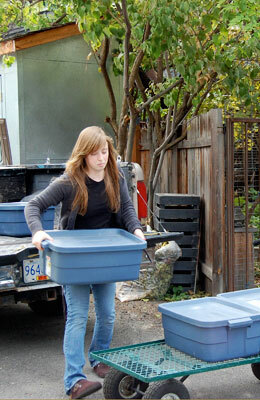 She also does most of our graphic work and is our web designer. 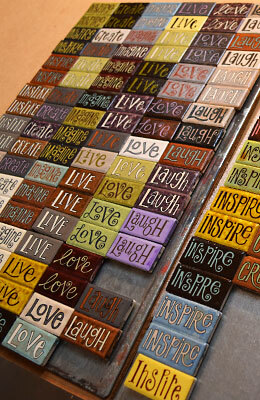 Willie and John – our retired couple who attach magnet to all the tiles we paint. We can’t even begin to calculate the number of tiles that have passed through their hands. Yikes!! Marcella – an amazingly talented and modest painter. She paints ALL of the hearts, flowers, stars, snowflakes, cats and dogs etc. … WOW! Kim – is the most prolific painter on our team. 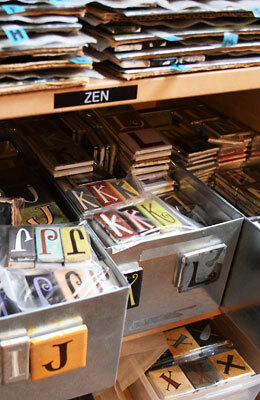 She turns out letters with a meticulous and exceptional ability to “clone” any sample she is given. 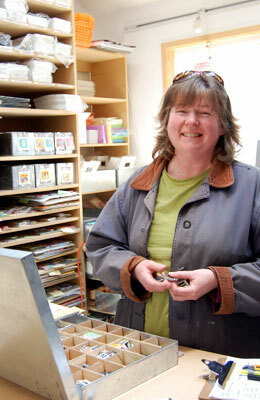 Martha – the newest member of our team, Martha is responsible for packaging all of our finished product. She is QUALITY CONTROL and a whole bunch more. We thank and them all. Angie, Anna, Ann, Cathy, Chelsea, Cheryl, Christine, Gay, Hayley, Inez, Irene, Julie, Kate, Katy, Kelly, Linda, Litti, Marty, Meghan, Michelle, Molly, Nicole, Nina, Patricia, Polly, Rosalyn, Selena, Shannon, Shauna, Sheila, Shelly, Susan, Tanya, Tara, Tina P, Tina S, Zoe . . .
What are the fridge magnets made of? The magnets are a prefabricated porcelain tile that we then attach a magnet to. The tiles are porcelain... but are actually quite durable. They may chip if dropped on hard surfaces. The painted finish is also protected with a glaze. I damaged a tile and chipped the edge– can I fix it? Sharpie permanent markers can be used for "touch-ups"... they come in a wide range of colours. How strong are the magnets? The magnets are of medium strength and can hold one piece of paper or photo. 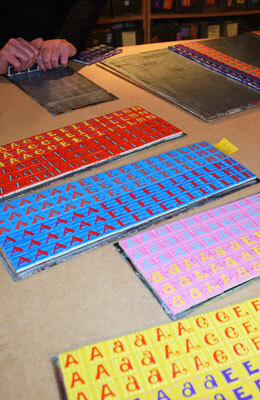 The tiles and magnet come from the USA... we hand-paint and assemble in CANADA. What size tiles do you have? 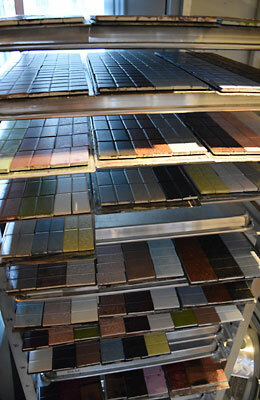 The tiles are prefabricated in the USA and are available in three sizes: 1"x1", 1"x2" & 2"x2".